Here’s a color palette that really made a statement! 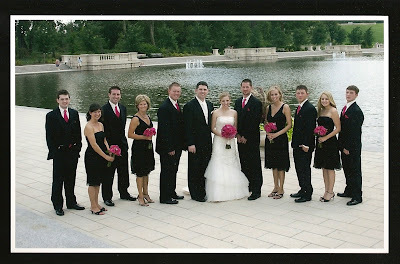 Rochelle and Kevin got married this past July. 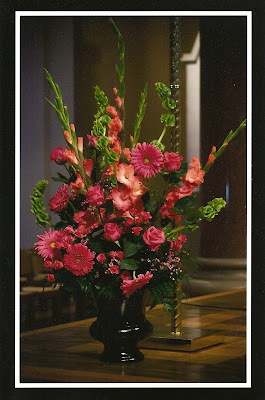 We really played up the hot summer colors and made all the flowers real focal points for the event. 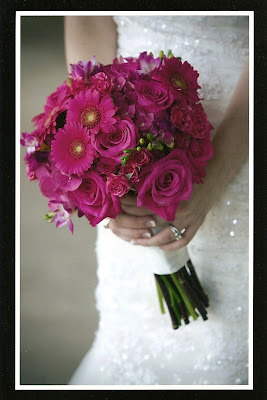 The bridal bouquet was all hot pinks: hydrangea, mini gerbers, roses, spray roses, and freesia. 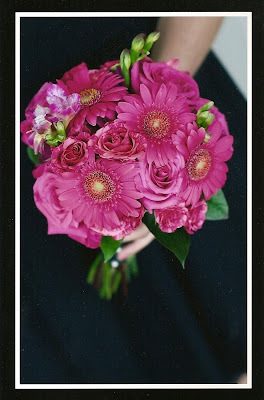 The bridesmaids’ flowers were the same as the bride’s, just smaller and without the hydrangea. The decor for the ceremony reflected the bright color used in the personal flowers. 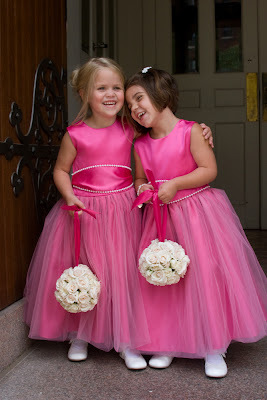 These little cuties carried ivory spray rose kissing balls down the aisle. 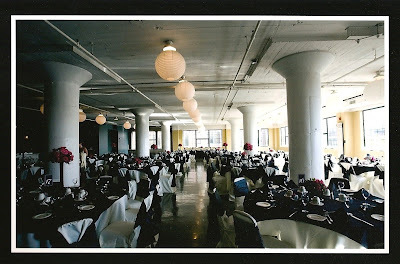 The reception was at the City Museum. We used some tall and some short arrangements to help bring more variety to the tables. 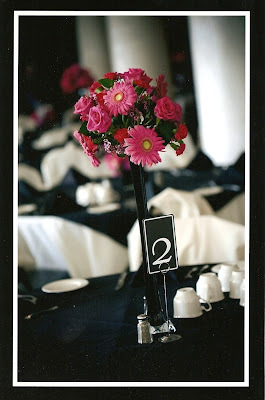 The tall arrangements were black eiffel vases with pink balls of gerbers, roses, and waxflower filler on top. 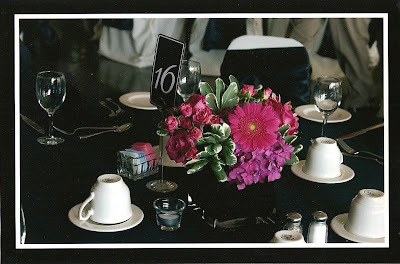 The short arrangements were black cube vases filled with pink hydrangea, gerbers, roses, spray roses, and variegated greenery. Special thanks to Patti from All Dressed in White for helping coordinate another successful event! 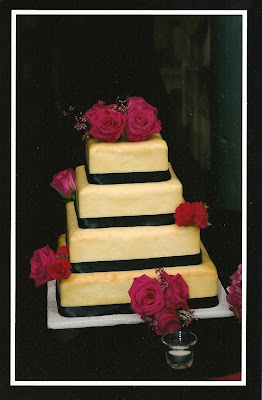 As always, best wishes to the bride and groom for many happy years together! !